In 1981, a small group of collectors met at the Karl Moldenhauer Auction and talked about forming an organization to further the study of Remington antique firearms. 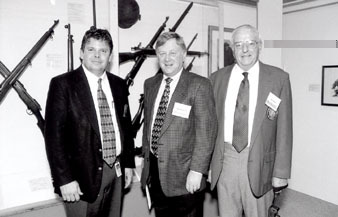 The first official meeting of two dozen dedicated Remington collectors took place at the Winter Antique Arms Show in Las Vegas in January 1982 — and thus the Remington Society of America was formed. Fritz Baehr was elected its first president, a position he held for six years. During the remainder of the 1980s, the fledgling organization — known to many as RSA — held annual membership meetings and published infrequent newsletters and briefs on Remington firearms. The membership grew slowly, but steadily. In 1988, Gordon Stanley was elected President to succeed Fritz Baehr. manufacturing company in Ilion, New York. and by Jay Huber – RSA Director (right). proprietary records. The team now numbers fourteen dedicated individuals, each with a different Remington expertise: early Remington history, Civil War revolvers,hunting rifles, catalogs and brochures, modern shotguns, etc. One or two week-long research trips are made by the team members to the Remington gun factory in Ilion, NewYork each year, and to the Remington ammunition plant in Lonoke, Arkansas, less frequently. In the late 1980s, RSA began sharing its historical and technical knowledge in a published newsletter. By 1991, the popularity of the publication grew into an eight page magazine, and the into a 40-page RSA Journal. Now, nine years later, the quarterly Journal consists of a full color cover and sixty pages of Remington history,firearms, ammunition and personalities. The RSA Journal is recognized as being the premier periodical among the dozen or more gun collecting groups in America today. Homestead (dating back to 1810), the site of the first Remington Forge, the location of the first manufacturing plant, and the facility where billions of rounds of ammunition are made each year. 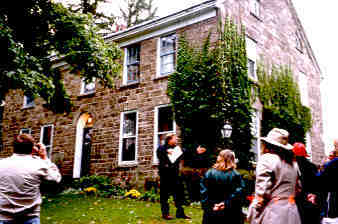 of the original Remington Homestead. In 1997, the Remington Society was invited to put on an unprecedented exhibit of Remington firearms at the Cody Firearms Museum, in Cody, Wyoming. The exhibit featured an example of every model and type of firearm ever made by Remington! This was the first time ever that such a complete collection of the product of a firearms manufacturer was assembled in one place! The four-month exhibit was viewed by several hundred thousand visitors, and formed the basis for two unique books: one on Remington history, and the other on Remington firearms. One of dozens of display cases holding more than 800 Remington firearms. In the summer of 2000 RSA was invited to exhibit Remington firearms that were relevant to an island on the coast of Southern Georgia in the late 19th and early 20th Century. 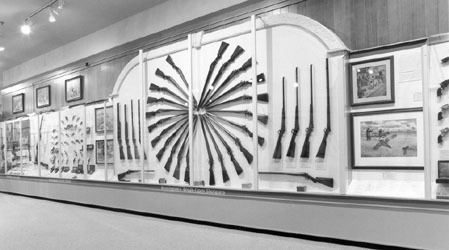 The exhibit was entitled: THE HUNT: Game, Guns and Gentlemen of Jekyll Island, and was on display from May through August, 2000. The island is important in Remington history because two of its owners had summer homes on Jekyll Island: Marcellus Hartley and Marcellus Hartley Dodge. Remington arms owned by RSA members and sold by the company between 1888 and 1933 were on display all summer long. 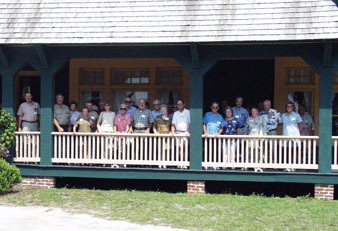 on Jekyll Island in August 2000. Since its inception in the early 1980s, more than a dozen books have been published on Remington firearms by RSA members. Shared knowledge allows others to appreciate the history and collecting interests of the firearms, and furthers the hobby for many new collectors. A complete listing of these books, and availability, is in the Remington BOOKS web page of this web site. Access it by returning to the RSA HOME page.